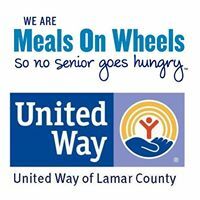 The Annual Meals on Wheels Gifts of Love needs more seniors adopted! Cards can be picked up at the LCHRC office (1273 19th Street NW), at the Paris News, and at Paris Coffee Company. There are 100 seniors who still need to be adopted! Gifts should be returned in a Christmas Gift sack with the card attached to one of the above locations by December 3. Cash donations can be either dropped off at our office or mailed to P.O. BOX 714, Paris Texas 75461 and we will use those funds to shop for anyone who isn’t adopted by the deadline. Indicate your donation is for Gifts of Love.